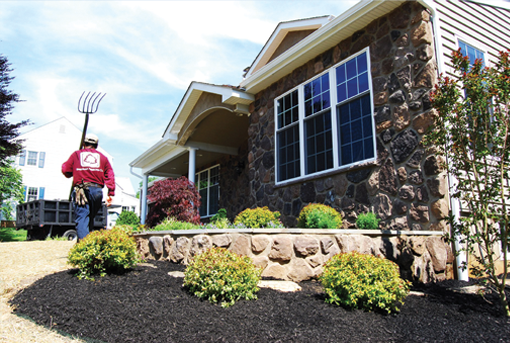 Brendan Gibbons | Brendan Gibbons Company is full service licensed landscape contractor, handling lawn care and landscape design within the Main Line and Philadelphia area. Hi Brendan, I'm writing to tell you that this spring our gardens have been the most beautiful ever--the best in 21 years! Your work last fall made a big difference. We want to thank you for the excellent service through the years. Please thank your employees also, they were always nice, friendly and respectful. It was great to come home to see you had been here! Thank you for getting here so quickly. The garden looks great for our party. Thank you again. Thank you for your generous contribution to the special needs boy scout troop at St Edmonds Home. Thank you for the wonderful job you and your crew did on our front entryway. I really appreciate your help.